Life isn’t easy. It just isn’t. It is stressful. It is messy. Relationships can be trying. We all have our cross to bear. However, there are days, weeks, and even months when it feels like so much “stuff” is being dumped on us we start to feel like we can’t take it anymore. There is an expression that came from somewhere that says that God doesn’t give us anymore than we can handle. Now, I don’t know about you, but to me, there have been times when it feels like He brings me pretty close! In the past, when hardships and struggles and “life” happened, I would get so overwhelmed – almost unfunctionable. Depression would set in and I would feel like I am stuck in the muck forever. Thankfully, this doesn’t happen any more. I still struggle but I am able to use these strategies to help me cope. Now, you may not get overwhelmed with life, but if you struggle or have to deal with long-term challenges, I encourage you to try out some of these pointers and see if they help. Everyone struggles and goes through rough patches. Again, everyone has her cross (or crosses) to bear. So, even if other people don’t “get” your situation completely, all of us can all relate to having to deal with difficult circumstances. Now, knowing this doesn’t change your personal situation, of course. However, knowing you aren’t alone can be comforting. Growing up, and having mild cerebral palsy, I was bullied a lot. I still remember how alone and lost I felt. I didn’t think anyone would understand what I was going through and yet, I wasn’t alone. So many young people were bullied in my youth, and sadly, there are many people (young and old) who are still bullied today. So, believe me: No matter what you are going through you are NOT alone. It is extremely difficult to be objective when you are so close to a situation. If you can, even for five minutes, walk away. If you can’t walk way, take a minute or two to close your eyes, say a prayer and/or count to 10. BREATHE. BREATHE. BREATHE. BREATHE. Even better, if at all possible, get away for a couple of days. Everyone needs time to recharge and re-center themselves. It is a great way to get a new perspective on the situation. Realistically, though, that’s probably not going to happen, especially if you are a caregiver to someone. Still, there are other ways to “get away.” Can you get up earlier for some quiet time or steal some quiet time in the evenings? Can you use some downtime to journal or pray? For me, as an introvert, I need a certain amount of quiet and alone time. When I am going through a difficult time or when life gets extra busy and noisy. It is critical for me to take some time to sit in silence and process everything that is going on. This is particularly true when I am going through stressful times. Comparing ourselves is not only a waste of time, it is a waste of our emotional and mental space. It is also very misleading. When we compare ourselves to other people, it is tempting to think that someone’s life is better than ours. We read what people post online and assume that they have such a great life. Or, we talk to acquaintances and hear all about the good things they are doing and we fantasize about having their life. Well, guess what? What we don’t see is the “behind the scenes” of their lives. Or the reality of their lives. People are selective of what they post online and will not normally post the ugly. Even when they do, it is usually “packaged” in a way that makes them look good. No one wants to look bad in front of people, online or otherwise. The same is true about our “in real life” friends and acquaintances. We can’t see what is behind closed doors of their lives. We don’t see the arguments or the craziness that may go on. Unless they share their ugly with us, we don’t know about it. Here is the deal with comparison: It only adds to your problems. It causes discontent in your mind and in your heart. It can cause bitterness and jealously. It robs us of our peace. Comparing ourselves to others sows the seeds of discord. Believe me, it is not worth the time and effort to compare ourselves with other people. Whatever you are going through, talk to someone you can trust. It can be your spouse, a priest or nun, a friend, or even a life coach. If the situation is serious, or long-term, consider getting some professional counseling. If it is appropriate, get involved in a support group. There is no shame in taking steps to change your life or to find healing. Getting the help you need is brave and courageous. I am not going to lie. This is a difficult step for me. Like my mother always told me, I have a tendency to hold things in. Sometimes it is because I don’t want to be a “bother” or sometimes it is because I’m afraid of being misunderstood or rejected. It is scary and hard to be vulnerable. BUT, there is also power and grace in opening up and talking to someone. When you talk to someone, that ‘thing” that guilt or fear or shame or whatever it is, loses its power over you. When you open up to the right person, it is freeing! Anxiety is something that I have dealt with most of my life. A few years ago, I had the opportunity to get some anxiety counseling. I wish I had gone sooner! I got some greater understanding about myself and the disorder and I got some practical tools to help me face the anxiety when it comes. Word of caution: Be specific and honest about what you need and are looking for. If you are just looking for someone to listen and let you unload, tell her. If you are looking for advice and/or a solution to your problem, tell her. Let your confidant know ahead of time what you want and need from her. it will save time and help avoid misunderstanding. You will get the most out of your time together if your mutual expectations are clear. If you can afford it, consider hiring someone to handle the many little things that crop up so you can focus on the important stuff. You can pay someone to clean your house, to run errands or to babysit your kids. Seemingly small things can build and build until they become overwhelming big things; therefore, if you have someone do some of those tasks for you, it can bring some margin and breathing room into your life. What can you do if you can’t afford to hire someone? Do a swap with a friend or neighbor. Barter. My son has to do a certain amount of hours of community service for his Confirmation prep. Maybe there is a preteen in your area who also needs do some community service and would be willing to rake your leaves or mow the lawn or do little jobs for you for free. Get creative. Oh, and if you have kids, don’t forget to put them to work!. Remember: It may be your responsibility to get things done but that doesn’t mean it’s your responsibility to actually do the work. Kids of all ages can, and should, be doing some amount of chores. And most of them will do extra in exchange for a little cash or treat. Again, be creative in coming up with ideas. Now, I realize this suggestion seems a little silly or out of place. HOWEVER, when you are going through a difficult time – be it physical, emotional, mental, spiritual, or any combination of those – anything else adding to your stress or compromised mental state can feel insurmountable or overwhelming. Therefore, if you are going through a stressful situation or you are burdened in any way, please give this suggestion a fair consideration. 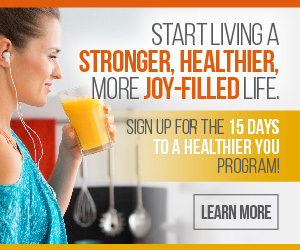 It may make a huge difference for you as it has for me. In fact, all of these strategies have made a difference for me. They still make a difference for me. It doesn’t matter if I am going through a big difficulty, like the death of my cousin, or something small, like my son being uncooperative during his school time, I always fall back on these strategies to get me through. And my prayer is that you, too, will use these pointers and that they make a difference in your life. Know that you are in my prayers! God bless.